As sponsors of GoGo Hare, GoGo Hareman, we wanted to go the extra mile to help Break Charity make the trail run without a hitch. 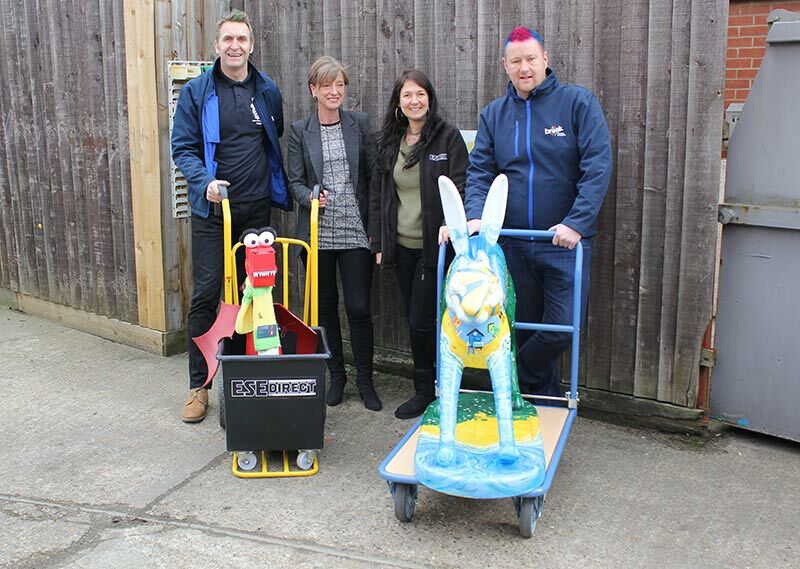 So, when we heard Pete and his team were struggling to move the bulky hare sculptures and in particular, the surprisingly heavy leverets, we spotted a way to help, by donating one of our sack trucks and a platform trolley. To ensure we selected the most suitable transport for the fragile and valuable hares, we ensured chose a sack truck with a long foot plate so that the leverets could fit their bottoms and big feet safely on board. The type of wheels were particularly important, especially as they would be pushed and pulled over the bumpy Norfolk cobble stones. So, a bouncy puncture-proof pair it was to be! It also features an easy-tip system to minimise the effort required and to provide a smooth tilt ensuring the hares stay firmly in place and don't hop off the foot plate! The platform trolley is a strong German manufactured unit with a folding handle so that it can be easily stowed on the van. It is the perfect size for the GoGo Create project leverets, with them poking their tails between the rails of the handle. The large hares also sit perfectly atop the platform, we think they rather enjoy their rides! George becomes acquainted with Daisy the leveret, designed and painted by artist, Sally Adams. 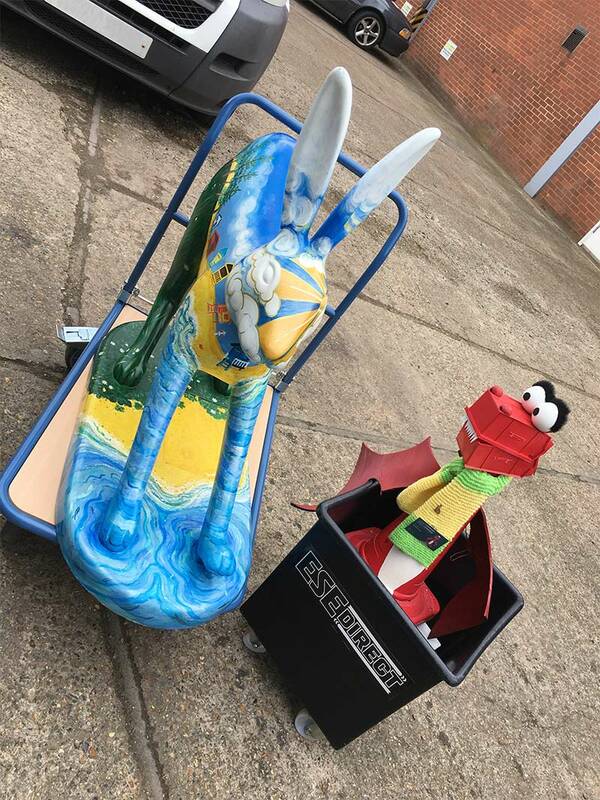 If you spot the hares on board the trolleys, we'd love to see any pictures of them, tweet us @esedirect.